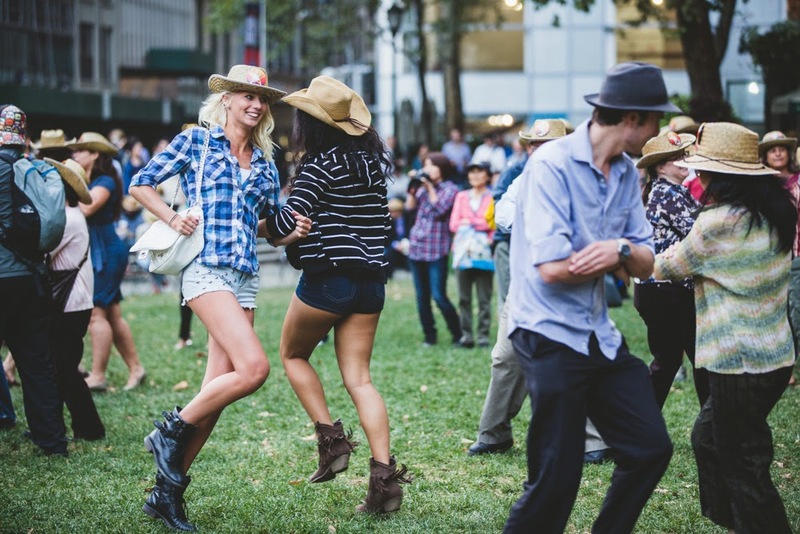 We can't believe it, but the last installment of #BPSquareDance is this Wednesday, September 25. If you missed our record-breaking square dance on Friday (with over 1500 dancers!) or our feature in The New York Times, this is your chance to check out the buzz. Throughout this #BPSquareDance series, we've hosted performers from the heartland, the south, and everywhere in between. For our final installment, we're excited to source our talent entirely from the Big Apple. This will be a New York-style square dance like you've never seen before! The evening takes place in two parts. The Boston Boys, coming all the way from Brooklyn, will set the tone with their rootsy, good-time Americana from 5:30 to 6:30. Then Dave Harvey of New York City Barn Dance will call Virginia reels, circle dances, and more until the the cows come home at 8:30pm. We will have tons of other attractions and amenities. The first 500 folks to arrive will receive a Bryant Park Square Dance hat, and everyone will be entered into a raffle for a Southwest Airlines ticket giveaway and a Bryant Park prize pack. 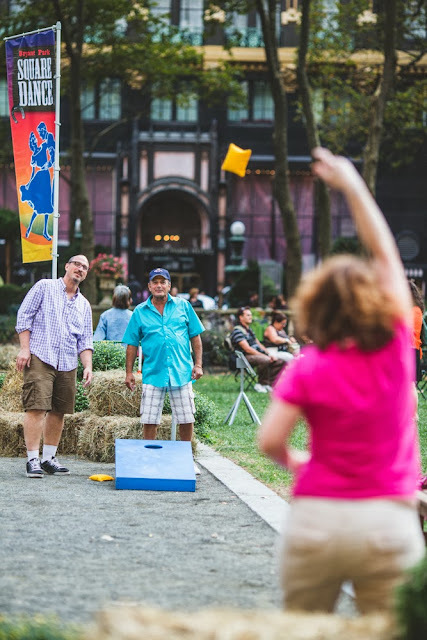 Take a break from dancing by posing at the photo booth, learning to lasso, playing corn hole and ladder ball, or enjoying the square dance-themed food and drink available for purchase from 'wichcraft. We also have a bag check, where we'll watch your stuff, so you can dance unhindered. Don't forget: cowpokes can take the evening from incredible to unforgettable by purchasing VIP passes from GiltCity. For $65, these passes will get you unlimited food and drink from 'wichcraft--no promises about turning your two left feet into dancing machines!